HUNT COUNTRY HISTORY | Metamora Hunt Inc.
On January 6, 1928 the Metamora Hunt was organized. 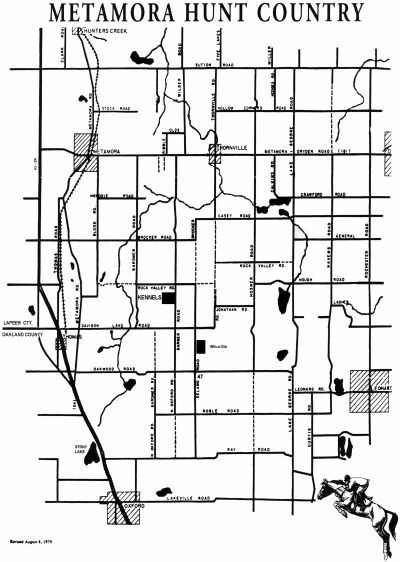 Acting as agent for the charter members, John S. Sweeney, jr. bought approximately 15 sq. 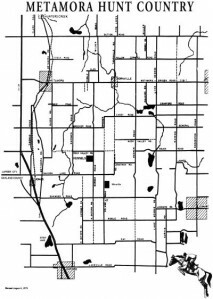 Miles of land in Metamora and Dryden townships of Lapeer county and in oxford and Addison townships of Oakland county Michigan. A majority of this land is still open to the Metamora Hunt. 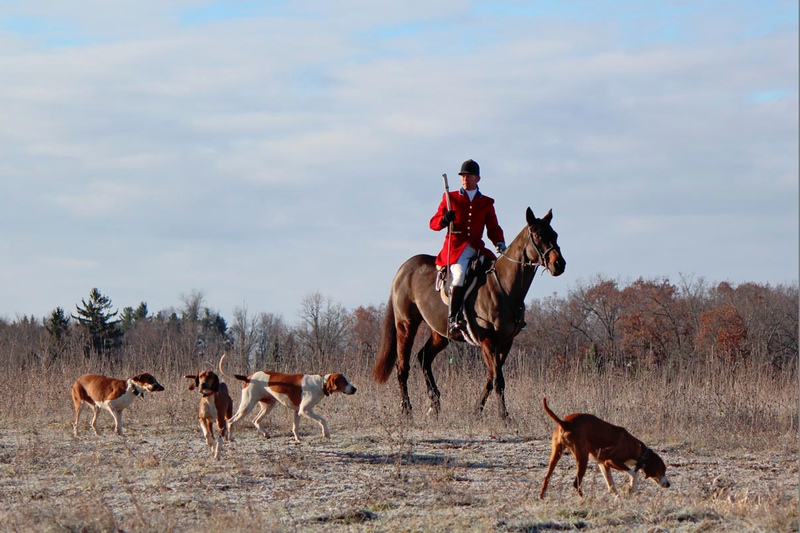 In the spirit of “Pecks” Nichols (the hunt’s first master of foxhounds) who was always looking for new fields to conquer, Joe Kent and Phil Maxwell lead the Metamora Hunt to expand its hunt country in 2005. Once again to the north, this time including countryside near Clare, Farwell and Gladwin. Similarly, Nichols encouraged Metamora Hunt members to expand its season by going south to Tennessee. Most winters Joe Kent, MFH and other Hunt Members organize an extended trip south to hunt with fellow packs in Kentucky, South Carolina, and Georgia.